I can’t remember having covered Easter events in Portland before, but there seems to be quite a bit of interest this year, so I decided to list them here. Unless otherwise noted, all of these events are for April 16th. More events will be added as we hear about them. 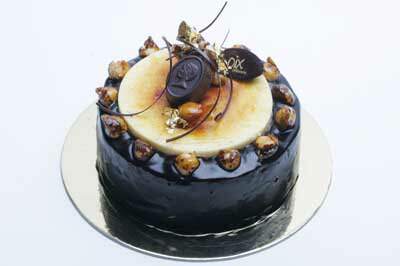 What happens when you cross a xurro with a cheesecake? Portland’s first xurreria, 180, has that answer. To celebrate Easter, 180 be serving Strawberry Cheesecake Stuffed Mini Xurros for the occasion Saturday, April 15th and Sunday, April 16th. Guests who stop by the shop can enjoy the creamy, crunchy goodness of a Strawberry Cheesecake Stuffed Xurro for $4.50 per half dozen. These limited edition xurros will only be available Easter weekend. 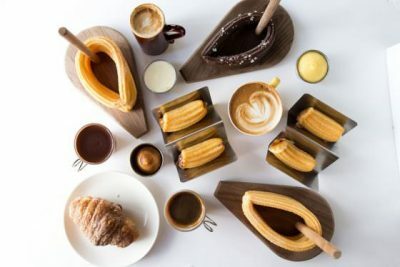 In addition to the limited edition xurros, 180 will be frying up their signature xurros, dusted in cinnamon and sugar, and cups of warm delicious drinking xocolata. Throughout the month of April, 180 also collaborated with James Beard award-winning chef Naomi Pomeroy to create her Cardamom & Pistachio Xurro, stuffed with coconut-vanilla bean rice pudding part of the Chef Xurro Series. Can’t make it into the shop? Xurros can be ordered through delivery service Caviar. Easter Brunch at 23Hoyt. Weekend brunch at 23Hoyt has become a neighborhood institution. On these special occasions we change the program a bit and feature a three-course menu that offers your choice among several options at each course. Chef Lorenzo will include your favorites from the regular brunch menu, and of course our delicious Bloody Mary will be available. Preview the Easter Brunch menu. Make reservations by calling 503-445-7400, or Click Here to Book Your Table Now. During April a Cena is celebrating spring and the essence of Italian Cuisine—featuring asparagus. Traditional Ligurian Pie will be featured with our Easter specials on April 16th. 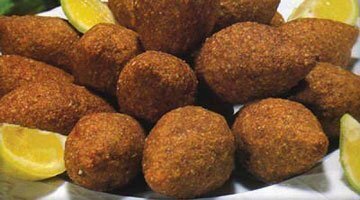 Served as an entrée, or a taste on the antipasti plate. Spend Easter Sunday at Portland’s first Peruvian, family-owned restaurant, Andina. Share plates of exciting tapas and Peruvian dishes with friends and family while Andina’s friendly and knowledgeable staff take care of the meal for you. Chef de Cuisine Yen Tejada and Executive Chef Dustin Koerner will be preparing house favorites such as empanadas, cebiches, and causas. Those with a sweet tooth can sample delicious Peruvian desserts such as Panna Cotta de Cafe con Lucuma, Chocolate Andino, or classic Peruvian Alfajores cookies. Bar Manager Ethan Atkinson has also added a special springtime cocktail to the menu called Alma de Picaflor, named for Andina’s avian mascot. As Atkinson puts it “it is like sipping nectar from a flower, and features hibiscus tea, rose water, orange flower water, kaffir lime leaves, vodka, fresh lime juice, and a Peruvian Pisco brandy rinse. It goes down far too easily, and if you aren’t careful, you will feel like you are flying through the air like a hummingbird.” Guests joining Andina for their Easter dinner service can enjoy live music performed by Tracy Kim, best known for his work as a gypsy jazz guitarist. Reservations can be made by calling the restaurant at 503-228-9535. Portland’s historic Besaw’s, known for years as a local’s dining spot on NW 23rd, reopened their doors last year on NW 21st and Raleigh with a newly polished aesthetic and menu. Alongside their location change came former Wildwood executive chef Dustin Clark – a figure who helped to coin farm-to-table in Portland. This Sunday, Clark has put forward a classic Easter dinner menu that pays homage to classic Easter cooking. Minted English peas accompanying a pecan-smoked house cured ham will evoke memories of Easter dinner with family and friends. Their house hosts! Dinner reservations can be made online and by telephone. Easter Dinner: House Cured Ham, Creamed English Peas and Mint, Mashed Potatoes. 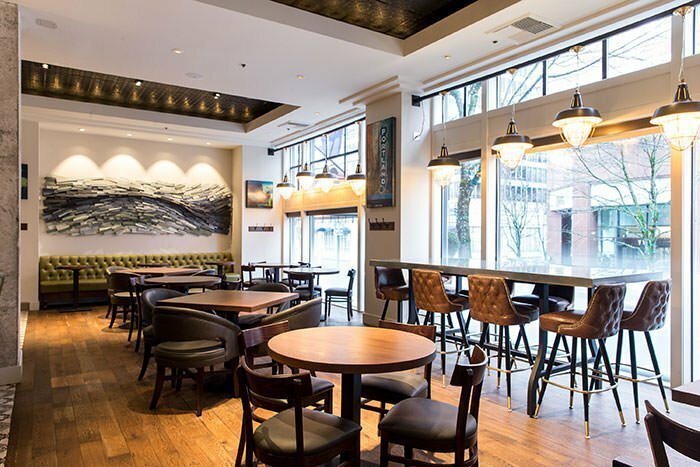 Bistro Maison will have a special prix fixe menu on Easter Sunday, featuring items such as Easter Pie, Wild Chinook Salmon, Rack of Spring Lamb, Cassoulet and more. The cost is $40, $60 with recommended wine selections with each course. A child’s menu will also be available for $17.00. An easy Easter brunch at Corbett. Enjoy free mimosas and other brunch specials at Elephants on Corbett. Tuck into our Challah French Toast or Southwest Eggs Benedict. Bring the whole family! We have menu options for everyone. No reservations needed! Check out our Corbett brunch menu. James Beard chef Vitaly Paley’s newest restaurant, Headwaters, is celebrating Easter for the first time this year with two dining options. Opened in October of 2016, Headwaters is downtown Portland’s destination for experiencing Oregon’s incredible bounty from land to sea. 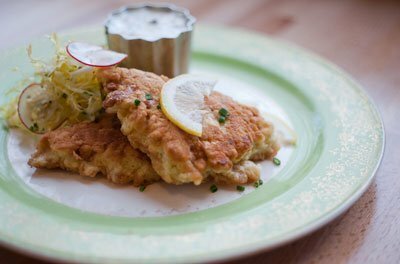 Bring your loved ones to experience Headwater’s brunch favorites including a Dungeness Crab Omelette, Croque Madame, French Toast Stuffed with Meyer Lemon Ricotta, and their special Ajurli Khachapuri, a Georgian cheese flatbread with a soft egg. The Headwaters dining room will serve their a la carte brunch menu on Easter Sunday, or guests can experience the Easter buffet upstairs. A selection of Headwaters favorites will be highlighted at the buffet, including a variety of items from the Sea Bar, a selection of artisan cheeses, a charcuterie plate, carving stations including Roast Prime Rib, Leg of Lamb, and a Spiced House Cured Ham, an omelette station, a savory buffet with brunch favorites including Eggs Benedict, French Toast, & Fresh Steelhead Salmon, and a dessert bar filled with Petit Cookies, Honey Cake Squares, Chocolate Cupcakes, Petit Fours, and Chocolate Tarts. Seatings for brunch are available from 10:30 am – 2:45 pm for $58 per adult and $38 per child 12 and under. Brunch buffet seatings are only available by calling the restaurant. Dining room reservations can be made online or by calling the restaurant at 503-790-7752. Gather with friends and family this Easter at Imperial, for a carefree, delicious brunch. Imperial will be serving longtime favorites and adventurous plates for your whole party to enjoy on Easter Sunday, April 16th from 8:00 am – 3:00 pm. Dig into brunch favorites such as Eggs Benedict, Shortstacks of Buttermilk Pancakes, or Imperial’s famous Buttermilk Fried Chicken. Chef de Cuisine Matthew Jarrell will also add some inventive specials for the occasion. 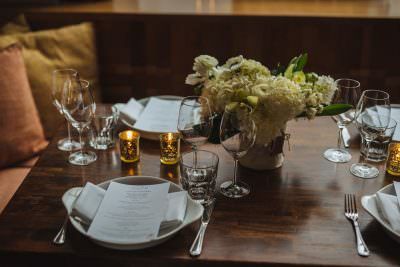 The restaurant will also be holding their regular dinner service featuring favorites such as Roasted Lamb, a variety of vegetables straight from the Imperial wood-fire grill, and pastry chef Danielle Bailey’s signature desserts. Call now to reserve your table at 503-228-7222. 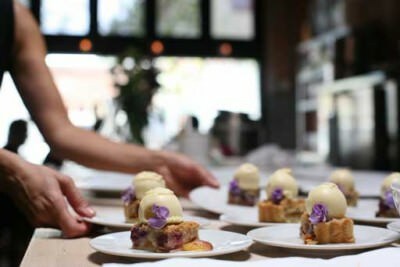 Downtown’s culinary destination for inventive, and boundary-pushing French cuisine, Little Bird Bistro, is the perfect spot to celebrate Easter Sunday with friends and family. Guests can enjoy Little Bird’s regular Sunday specials, including their happy hour menu available all night long when dining at the bar, or indulge in any bottle of wine for 10% off the marked price. Special for Easter Sunday, pastry chef Erin Hughes will be creating a bonbon plate filled with candies reminiscent of childhood Easter treats. The plate will include a Raspberry Marshmallow with Plum Sugar Bonbon, chef Hughes’ play on peeps for adults, and many more. Seats at the bar are open for walk-ins only, to reserve a table in the dining room call the restaurant at (503) 688-5952. Nel Centro will be serving up a special Easter brunch on Sunday, April 16th, 8:00 a.m. to 2:00 p.m. featuring hot cross buns; lavender éclair; and porcini and wild ramp strata with mesclun greens. The restaurant will also serve its regular dinner menu on Sunday evening from 5:00 p.m. to 9:00 p.m., featuring a special of herb roasted leg of lamb with black eyed peas, garlic and Swiss chard. For dessert – everyone’s chocolate dreams can come true with the restaurant’s chocolate mousse with malt dacquoise and chocolate feuilletine. Celebrate with us! Nonna will be offering Easter specials from 9am-3pm, Sunday the 16th! last but not least…$5 MIMOSAS! “Contraband” chocolate eggs, tea time and an egg hunt worth $50. See all the information here. Bring friends and family to Punch Bowl Social PDX on Sunday, April 16 to enjoy a non traditional Easter meal along with group-friendly activities beyond the egg hunt – although the stores in Pioneer Place will be closed, the mall entrances will be open starting at 10 a.m. 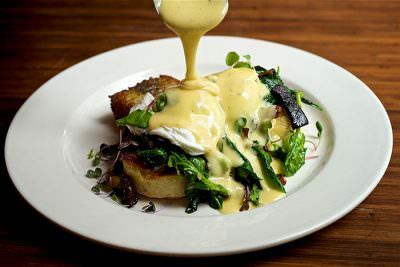 The southern–inspired brunch menu selections will include Crispy Chicken Biscuit with bread and butter pickles, spicy honey and crisp potatoes and Quinoa Hoe Cake Benedict with Tender Belly bacon, British breakfast tomato and poached eggs. Or, go vegetarian with the Mushroom Biscuits ‘N’ Gravy including buttermilk biscuits, white mushroom gravy, avocado and eggs any style. After the feast, check out the private karaoke rooms for some spring singing or gather your group for bowling, ping-pong, retro arcade games, pinball, shuffle board, corn hole and darts. Hop to it! Call (503) 334-0360 for reservations. Toast spring at the SE Wine Collective this Easter. Taste the full lineup of the Collective member’s spring releases while taking in the cozy ambiance of the Collective’s wine bar. Guests can enjoy chef Althea Grey Potter’s menu of delectable dishes, perfect for pairing with wines, including her flight of artistically-crafted deviled eggs. Easter weekend also marks the spring 2017 release of the Collective Wine Club. For more information on the Collective Club, and pickup, visit SE Wine Collective’s website. Roots Restaurant and Bar – Camas WA. Sugar Snap Pea Salad – Beech mushrooms, arugula, fresh sheep cheese, breakfast radish, puffed rice. Prix Fixe $45/Person* Regular menus offered as well. For reservations, call 503.360.1281 or book online. The modern farm-to-table steakhouse at The Nines, offers an excellent brunch. With house-made English muffins and fennel sausage to foraged mushrooms, it’s not your typical hotel breakfast. Chef Matt Christianson also takes great pride in the restaurant’s rooftop garden and apiary, providing natural honey and other super fresh ingredients. This year, Urban Farmer offers a gourmet brunch buffet for Easter on Sunday, April 16 from 9am-3pm. 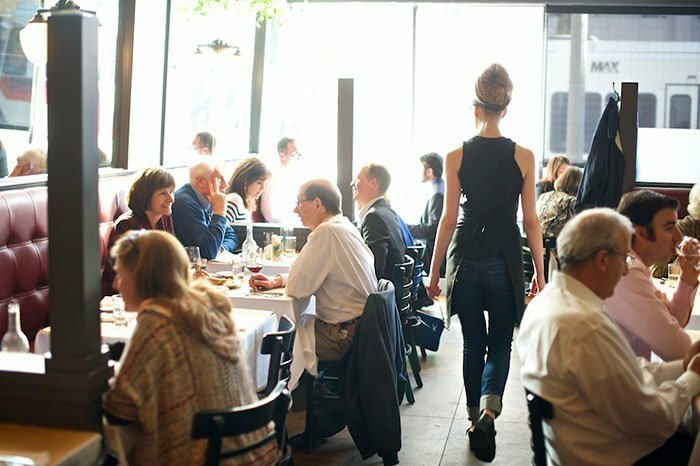 Chef Matt Christianson presides over a menu of Deviled Eggs, Citrus Cured and Smoked Fish, Piedmontese Beef Brisket, a French Toast Bar, an Omelet and Eggs Benedict Station, charcuterie, soup, salad, and more. Brunch is priced at $59 per adult and $22 per child aged 10 and under. We encourage kids of all ages to help us carry on this neighborhood tradition from 4pm-5pm ish. Enjoy a fun filled afternoon on our beautiful patio, and as always, fantastic food and drink. …there could also be a surprise appearance by the easter bunny himself!